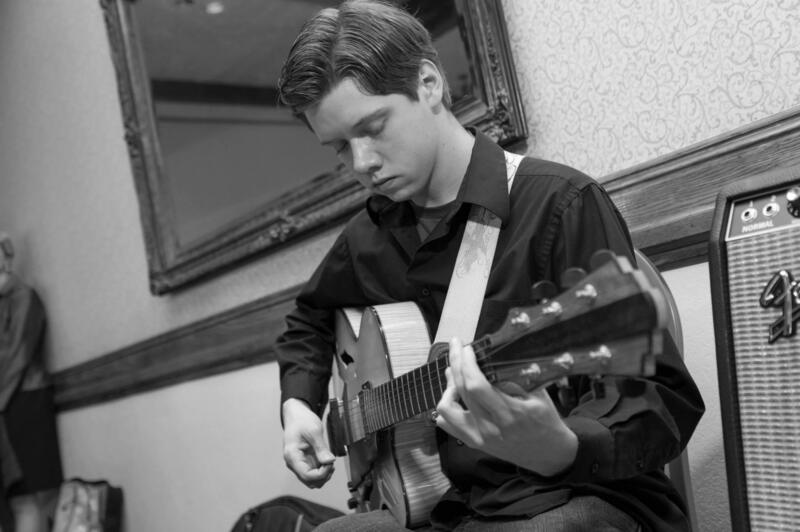 A student at the University of Colorado Boulder, guitarist Alex Heffron was introduced to jazz at the School of Rock. Trained in jazz guitar, Alex's teachers showed him correlations between jazz and the music he was playing at the time. "My style ends up being more on the modern side," Alex said. "Coming from [playing metal] to jazz, it's really about trying to find the similarities." Alex deeply appreciates the inherit community element of jazz. "One of the hallmarks of jazz is the sense of community," Alex said. "You need to know people if you want to be able to play gigs with them." "Meeting people through the Denver jazz scene has been an incredible experience." Alex attributes connecting with local musicians on and off the bandstand as making him into a better player and performer. "Ideally, you want jazz to have a conversational nature," Alex said. "You want to be saying something about life." See Alex live with his quartet at DazzleJazz September 22.